If it wasn’t for coffee, I may not make it through the day. I try not to think of it as an addiction, more of a love. I prefer to buy whole beans which seems to be harder to find, at least hard to find a reasonably priced yet delicious whole bean coffee. 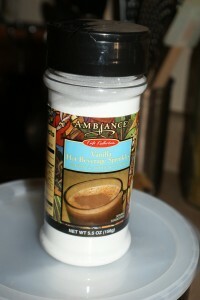 Last year, I fell in love with Ambiance coffee from Smart and Final. 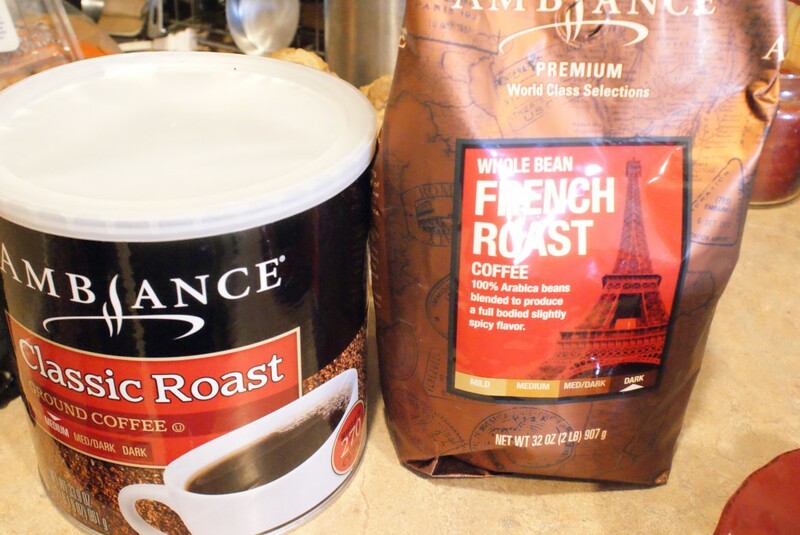 My favorite find was the 2 lbs of whole bean French Roast that was under $12. It had been a while since I had been back to grab some more but went this week to grab a bag. When I went to Smart and Final I saw they were having a sale, buy a can of coffee, get a free carton of eggs. Awesome! I typically don’t go for the cans because I like freshly ground but there are mornings I don’t want to mess with the grinder. I bought the 2 lb bag of beans and a can of the ground coffee which was a great deal for only $7.99! In large bowl, mix together dry ingredients. Add remaining ingredients except vanilla and blueberries. Once the mixture is thoroughly mixed, fold in vanilla and blueberries, being careful not to pop the blueberries. 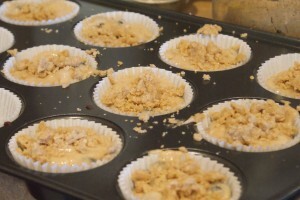 Scoop into muffin cups or greased muffin pans. For the topping, combine all ingredients until the mixture is crumbly. 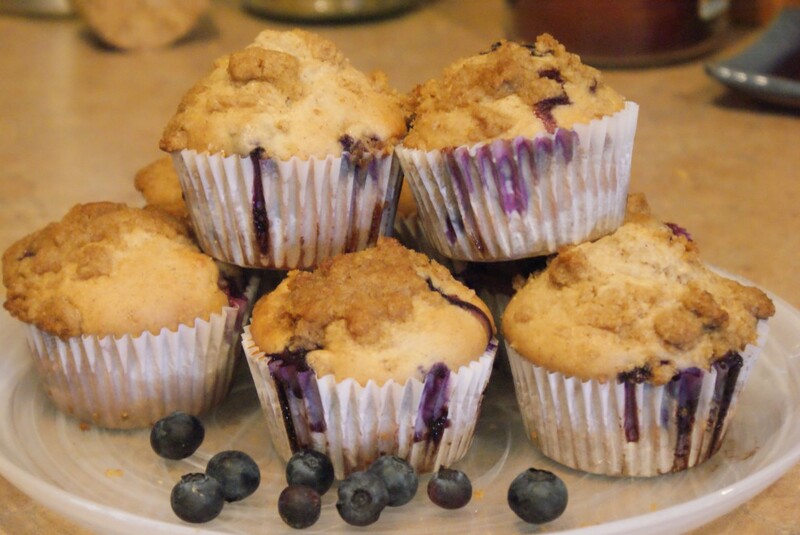 Add topping into the middle of the muffins by taking a spoon and creating a shallow “well” and pouring the topping in and sprinkling it on the top of the muffin mixture. 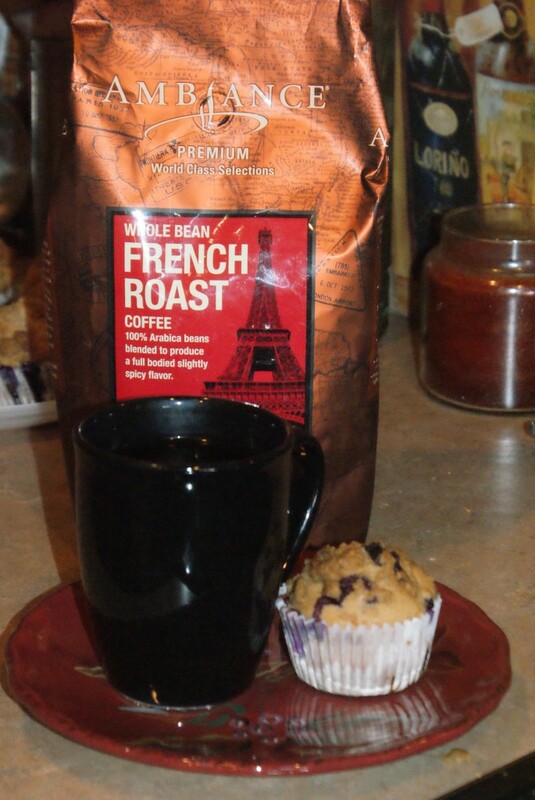 These taste great along with Ambiance coffee and the best thing about these muffins, they are not high in fat since they are not made with oil or eggs and only margarine in the topping. Also, my kids love them too! When I was shopping for my Ambiance coffee, I found Hot Beverage Sprinkles at Smart and Final made by Ambiance. I got the vanilla sprinkles to add to my coffee, yum! 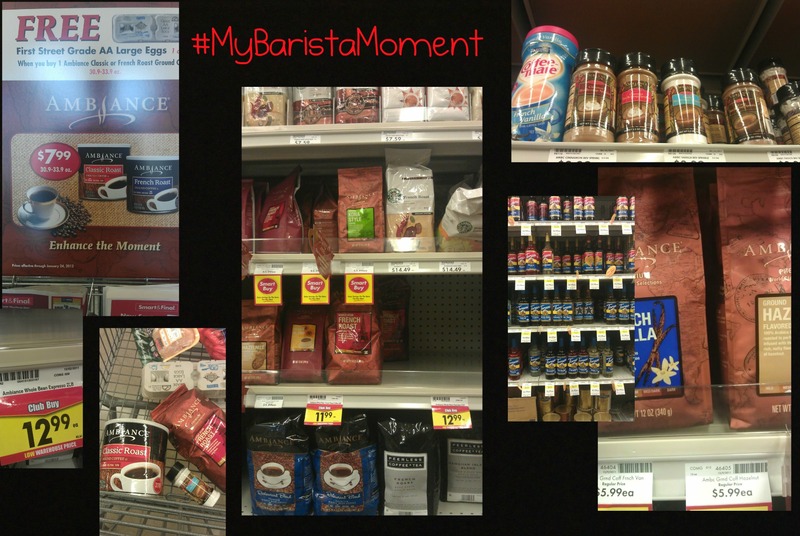 Right now Ambiance and Smart and Final are having a sweepstakes, when you buy any Ambiance coffee you can enter your receipt onto the website here: http://www.smartandfinal.com/Ambiance2012/default.asp for the chance to win a giftcard or a DeLonghi BCO264B Cafe Nero Combo Coffee/Espresso Maker! 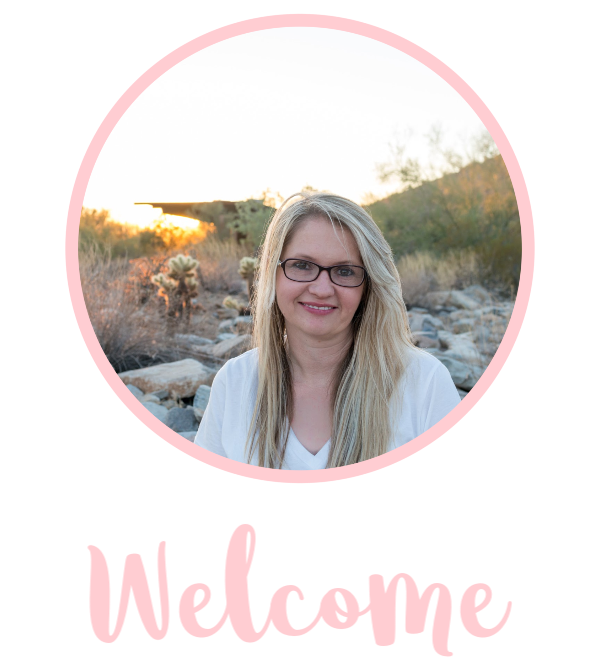 Be sure to save your receipt!